New Napoleon Bon Appétit Merchandise! 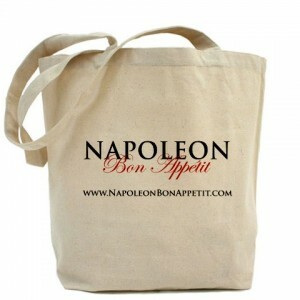 It’s time to declare your kitchen’s allegiance with the official Napoleon Bon Appétit grocery bag and refrigerator magnet! Make your food beg for mercy! Posted May 8th, 2011 at 7:48 AM in News. Tagged with News.